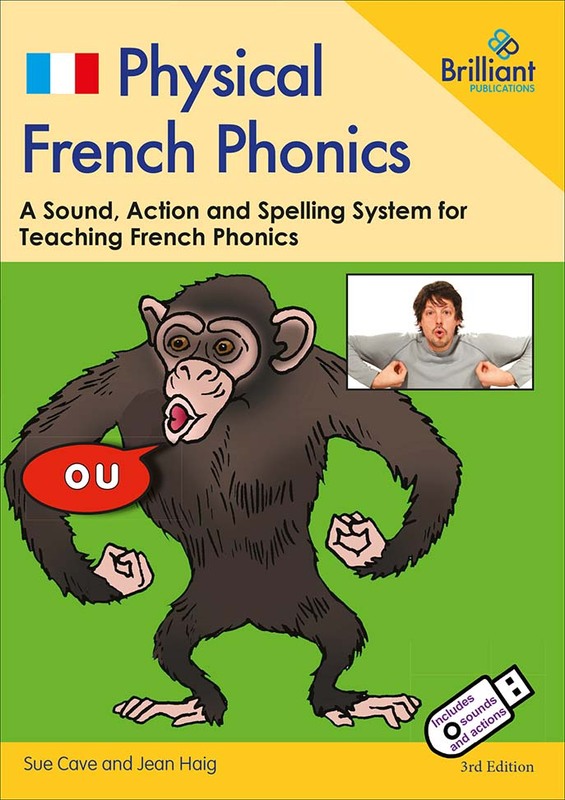 Sue Cave is the co-author of Physical French Phonics. It is a step by step guide on how to embed phonics in language learning with accompanying classroom activities. It is suitable both for up-skilling adults and for use in the classroom. 26 key French sounds have been identified and are represented by memorable cartoon pictures which link them to an action. There are video recordings of native speakers performing the accompanying actions for the sounds. In addition, there are photocopiable resources to practise linking the sounds to letters; flashcards; activity cards, interactive whiteboard files to create your own resources and a wall frieze. Cave Languages scheme of work resources include this method of teaching reading and writing. Physical French Phonics was a winner of the European Language Label Award 2012. Please contact Sue Cave if you would like a demonstration of this innovative method of teaching French phonics. Download a presentation and the 7 step teaching process here.